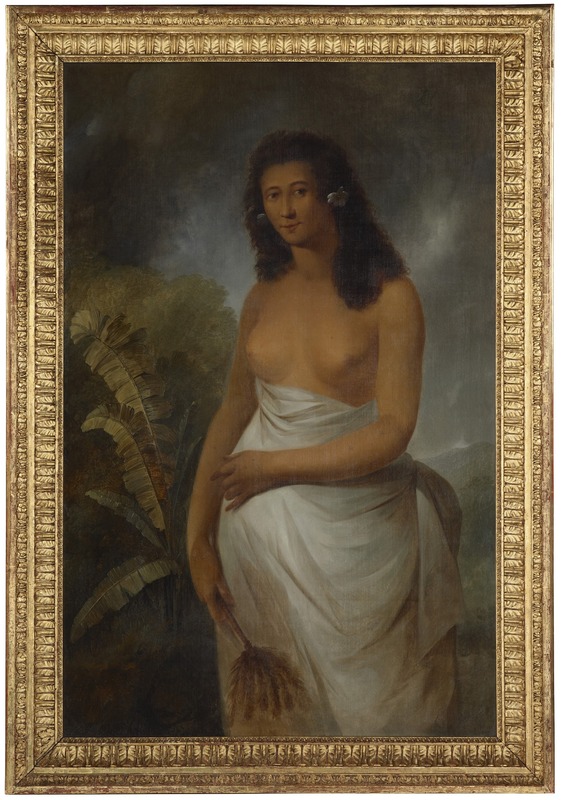 Accompanying the portrait wall in Tūrangawaewae: Art and New Zealand are digital interactives that allow you to dive deeper into the conservation efforts that prepared the paintings for exhibition, and reveal hidden histories. Conservator Paintings Linda Waters writes about what the back of a painting can tell you. We Paintings Conservators generate a lot of information in the course of our work. This is because we look so closely at the physical materials of paintings in order to know how to treat them, and in doing so reveal all sorts of interesting insights: into artist’s techniques and materials and into the history and provenance of paintings. We can also uncover the past physical life of works of art after their creation. One fascinating aspect of the works of art that we examine are the backs of paintings – they’re a mine of information. Most recently we had the opportunity to investigate and document the paintings we were preparing for the portrait wall in Tūrangawaewae: Art and New Zealand. Our work yielded a raft of fascinating detail, and some of it is included in the interactives in the exhibition. 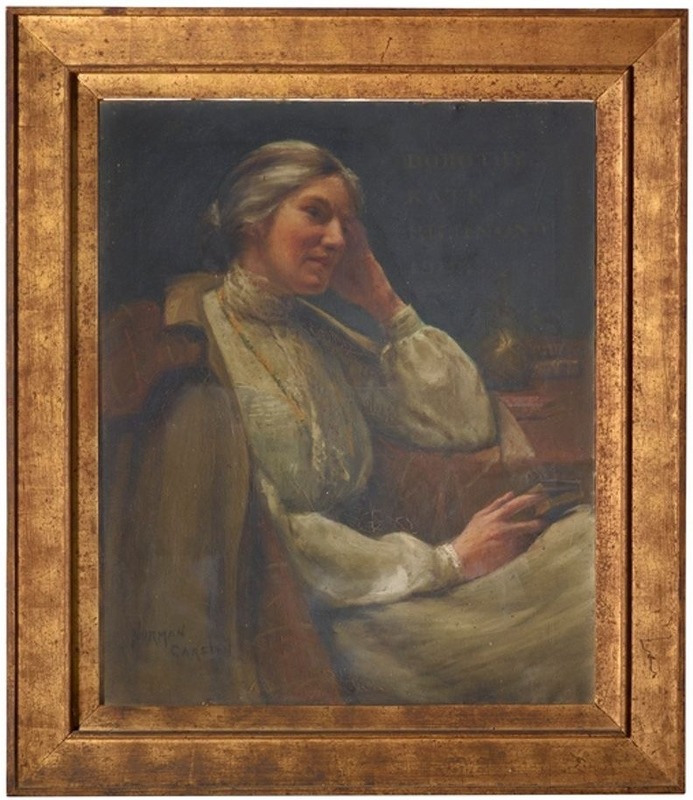 In all, ten paintings have additional conservation information included, and you can access astonishing images and facts by using the buttons at the bottom of the screen. This adds another layer of life to the artworks – one not normally seen by anyone other than conservators, and, as explained above, informs art history in interesting ways. 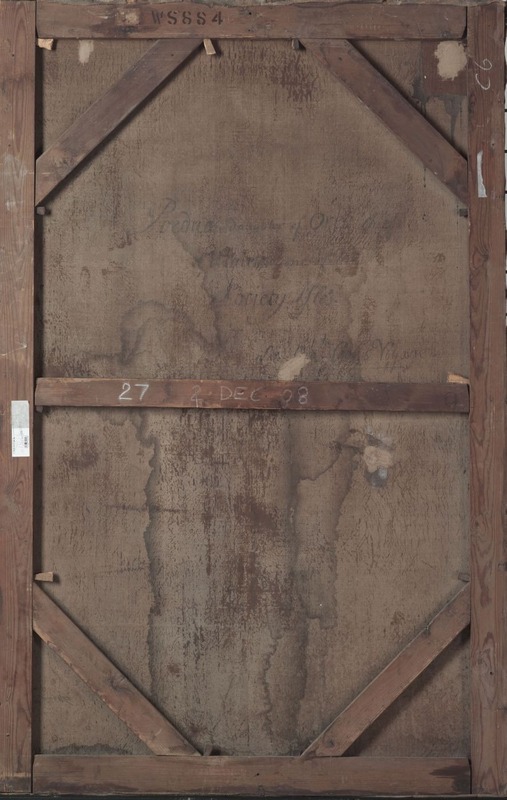 Even though we always examine and document the backs of paintings as part of our charter of conservation care – to determine the structural stability of a work of art, among other things – looking at the back of a paintings is so fascinating in its own right: for example, we see that the portrait of Poedua by John Webber is on its original stretcher which dates from the 18th century. It is unusual to see this on a 250-year-old painting, as more often than not paintings of this age have been restored, and in the process the stretcher has been replaced, and the original canvas lined onto another one. In fact, technical art historian and conservator Sarah Cove in her recent lecture here at Te Papa showed an image of the back of a 17th century English portrait that had been relined and had the stretcher replaced in the 18th century and had the same style of stretcher as that on Poedua. 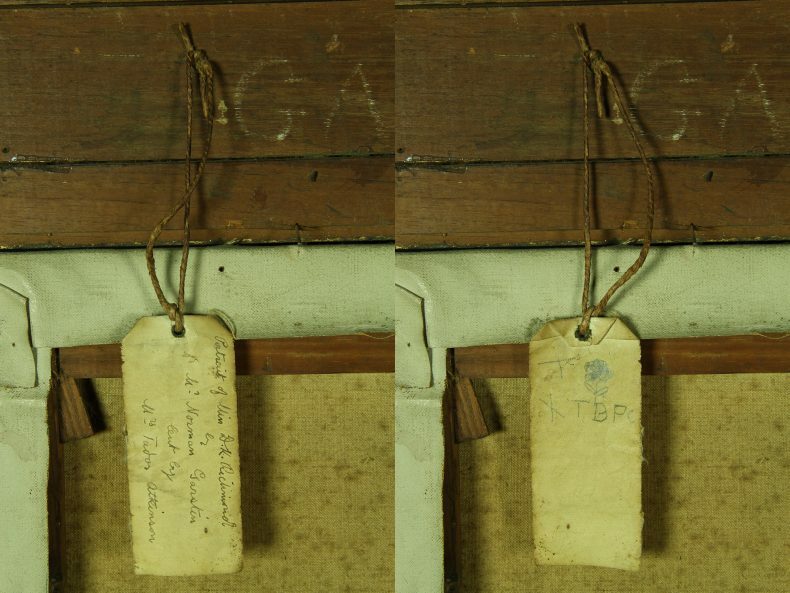 So, stretchers can be indicators of originality of a work, or of past restorations. For Poedua, it means that the work has had very little intervention since its creation and is therefore likely to appear more as it should. Knowing this, along with other information, helps you gauge the visual authenticity of the painting as you are looking at it. It informs you about how representative its current appearance is and contributes to the understanding of what one might need to do to regain it, how to approach the treatment, and the expectations of the result. There is, on the back of the portrait of D K Richmond, a beautiful little label with an inscription written by a family member when the painting was loaned to the National Art Gallery. On the other side of the label is a sweet pencil drawing obviously done by a child. 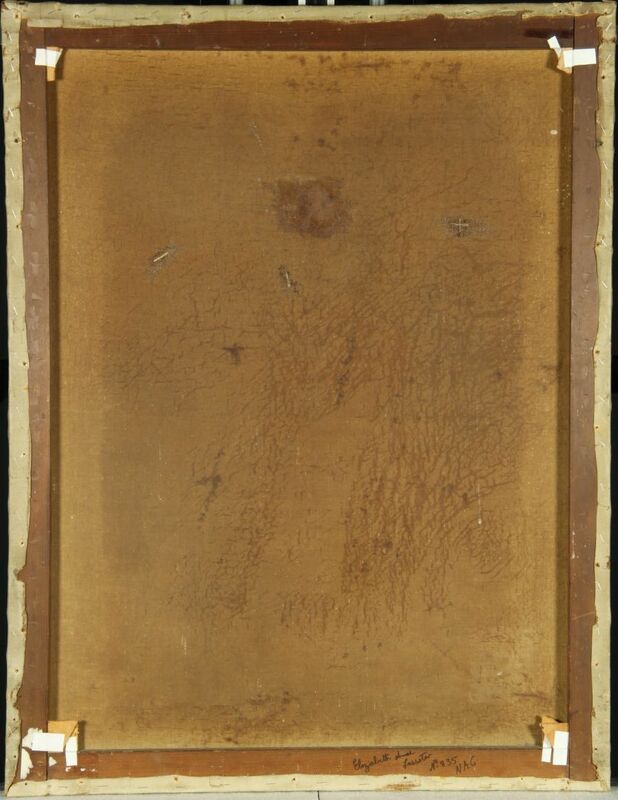 The back of the painting as a whole is interesting in its seeming lack of obvious features, but there is insight to be gained! 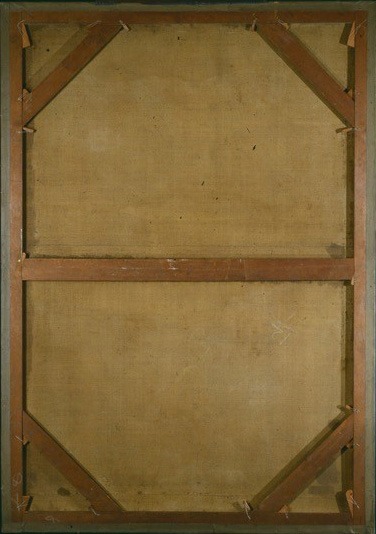 The stretcher is cedar and of fine quality, and the canvas is commercially primed, and again of good quality – what this tells us is that the artist was in a position to buy the best. 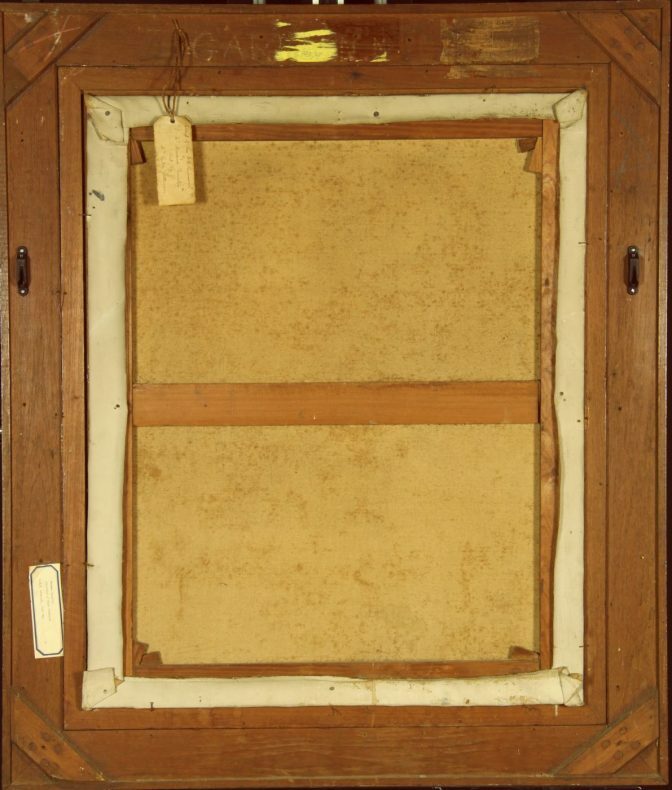 Thirdly, there is evidence in the backs of paintings of past treatment – a historical record of the work as a museum object, and the history of restoration and conservation too. 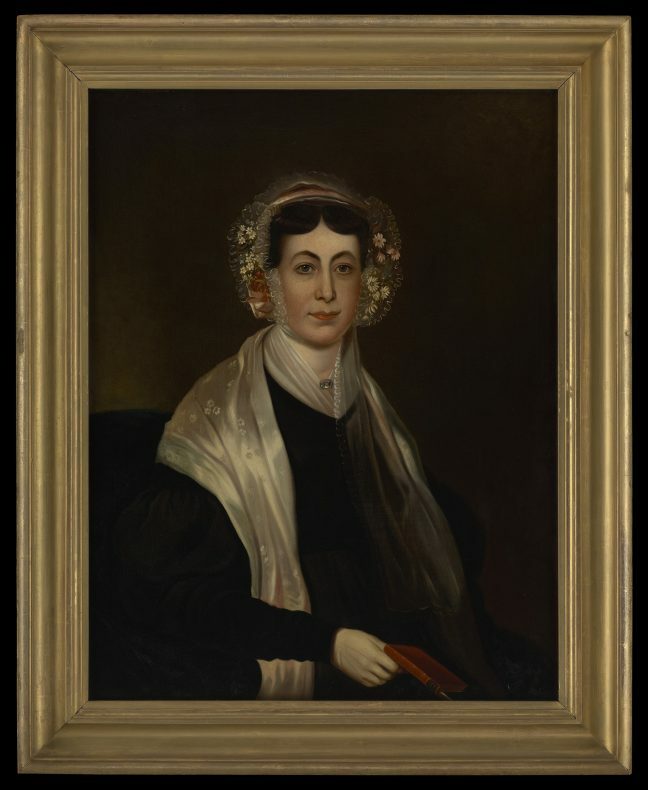 This is seen in the back of the portrait of Mrs Lassiter, which reveals delicate tear repairs that are completely invisible from the front of the painting, albeit done in a way we would not do now. They are surrounded by adhesive, and their appearance suggests that they are much larger than the damage itself. In an equivalent repair today you would not see the adhesive, and there may not even be a thread ‘suture’ – the torn or punctured threads may be adhered back to themselves without the addition of extra material. Even if it were not visible to the naked eye the repair work would be known to exist, as conservation treatments are documented in writing and by various photographic techniques. When you next visit Te Papa have a look at the conservation content in the portrait wall interactive in Tūrangaewaewae: Art and New Zealand to explore the materiality of – and get closer to – these paintings.